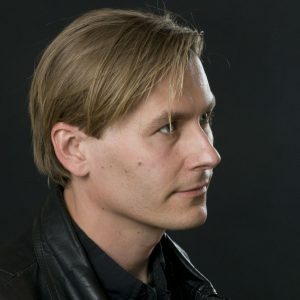 The Spectromusic site is managed by the Swedish composer Karl Andreas Hedman and it is the home of the Sonova font for notation of sound objects. Karl Andreas Hedman. Born 1970 in Sweden. Lived in Stockholm, Sweden, Berlin, Germany, and Bali, Indonesia. Studied Electroacoustic composition at EMS in Stockholm, for Rolf Enström and Lars-Gunnar Bodin. Acoustics for Johan Sundberg at KTH Royal Institute of Technology. Counterpoint and twelve-tone composition for Jan W. Morthensen. Arranging for Ingvar Karkoff. Formula-composition for Karlheinz Stockhausen in Kürten, Germany. Works performed at numerous places in Sweden, the Inventionen Festival in Berlin, and on Swedish Radio P2. Received commissions from Rikskonserter, Sweden and DAAD, Germany. Research projects at the Royal Academy of Music, Stockholm Sweden, the Norwegian Academy of Music in Oslo, Norway, Ina/GRM Paris, France. Development of the Sonova font 2007-2016. Concept and development coordination of The Aural Sonology plug-in 2013, updated in 2016. Assisted with the book “Emergent Musical Form – Aural Explorations” by Lasse Thoresen published in 2015.